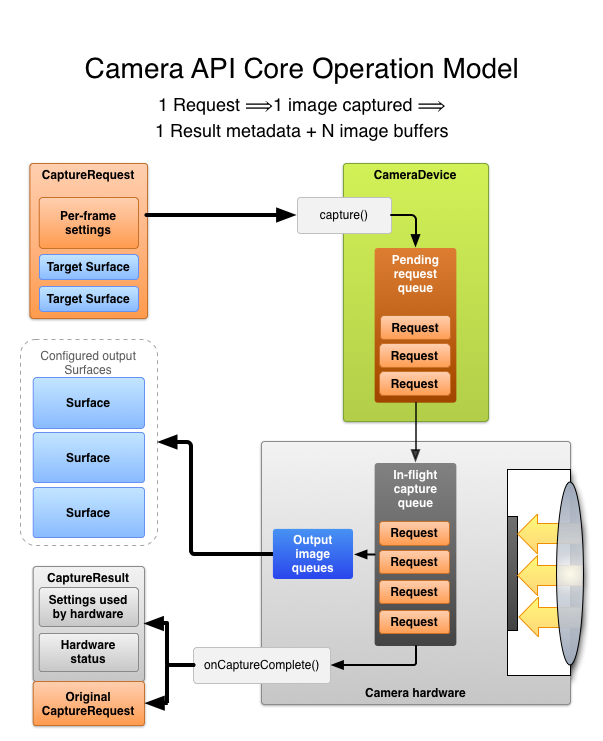 This chart explains Android's new camera API. Google has confirmed that Android phones will be able to take Raw photos in the future. Google has given its camera API a complete makeover in an attempt to make app development easier for programmers. When the new API rolls out, it will allow apps to take photos in Raw as well as capture in a burst mode. "Android's latest camera HAL (hardware abstraction layer) and framework supports raw and burst-mode photography," Google spokesperson Gina Scigliano told CNET. "We will expose a developer API [application programming interface] in a future release to expose more of the HAL functionality." As we've seen with Nokia's DNG files, RAW photography helps fix some of the flaws common in smartphone photos. Digital noise can be reduced, white balance can be corrected and small adjustments can be made to fix exposure issues. Android's new burst mode can be beneficial for action shots, but it can also be used for HDR photography like the Nexus 5's HDR+ feature. Google details Android's new camera API here. While it may read like nonsense to non-programmers, there are still a few details to get excited about. A simpler API may prove enticing for programmers and the new API also gives easy access to a lot more camera features. Further, this simplified view makes it easier for application developers to use the camera's various functions. 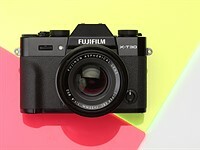 [...] This includes: resolution and pixel format; manual sensor, lens and flash control; 3A operating modes; RAW->YUV processing control; statistics generation; and so on. Google is not ready to give a release date for the software, but it promises that the new API will ship "in a future release." Hopefully in the next candy-themed Android update, we will get some Raw sweetness. So its been over 8 months since this article. Assuming they started work before this article was written, it doesn't take that long to add what is essentially a 'basic' feature as it doesn't require any post processing. Where is this? so, I suppose that tablets of the future will have something that one can call "cameras"
Hope so... and let's also hope Google also puts better cameras on their tablets... the one on the N7.2 is a bad joke. Not even Samsung puts the best cameras on their flagship tablets. While they include inherently better cameras there than Google, it's still falls short of their top mobile phone cameras (GS4, Note 3); for example, the one in the Note 10.1" 2014 doesn't support 1080p60/4K video recording or dual recording/shooting. But, at least, it supports panorama, which is just great on the flagship Android products. In the latter regard, they're certainly better than Apple, who refuse to include their (also absolutely excellent) pano mode on iPads. Which is a pity. This can't come soon enough. I also hope we can set the aperture, shutter, and ISO manually. I've learned how to hold a camera steady after of owning a SLR for 7 years. Unfortunately the smartphone is made for people with hand tremors and butterfingers. It just gives me a picture shot at the highest tolerable ISO. Not very smart for a smartphone to do this. Most if not all phone cameras have a fixed aperture so you're really limited to just shutter and ISO. Maybe in the future they will have a non-bladed swappable aperture like max+f/16 and a swappable ND filter. Making a bladed aperture that small is going to be challenging and might not be that useful when DOF is going to be deep at all values anyway. But otherwise, yes, this cannot come soon enough and I hope it pushes Apple to adopt the same RAW capabilities in iOS including support for already released phones that have capable hardware. As per your comment "Most if not all phone cameras have a fixed aperture so you're really limited to just shutter and ISO. Maybe in the future they will have a non-bladed swappable aperture like max+f/16 and a swappable ND filter. " Does this mean that using current google API we can control at least ISO and shutter if not aperture . I am looking into google API documents for this and searching example for doing this for 2-3 weeks now. I will be grateful for any response and guide. Hope this will push Apple to do the same. Or I might have to try out an Android for the first time since going Apple in 2007. They won't. Their API has always been poor and only little changes / improvements have been made. 7.1 won't bring any new camera API feature else. Also, don't hold your breath - iDevices are just not meant for us serious photog's / geeks. if we can prepare function like composed macro picture from a few expositions then it would be interesting ... because no one it doesn't make similar sw in the camera , only there are macro profesionals with specialized hw+sw. What about the compatibility between apps and the growing number of different camera features they should be able to control? This is great news – hopefully it will eliminate the lag problems that plague image acquisition. However, I hope that Google will address a MAJOR issue with all its Nexus devices and some other Android devices. The issue is screen calibration – the Nexus devices do not conform to the industry standard gamma setting of 2.2 resulting in washed out colors in lighter regions and grainy shadow details. Many have attributed the Nexus devices less than stellar image display to poor hardware. By installing a custom kernel, I’ve been able to adjust the gamma and compare images with that of a calibrated monitor and this simple change makes the Nexus devices truly shine. Both images and videos look substantially better this way. Google, if you’re listening – please calibrate your screens if you truly want them to reach their potential. Without this, no changes in the HAL will help. Ambitious project. As of now, their flagship Nexus 5 is plagued with multiple issues around the camera. As I own one, I can confirm that the autofocus is painfully slow (slower than iPhone 3Gs that I acquired in 2009). Its impossible to take photos indoors. Videos have all sorts of noise/hiss. I just hope that there is a big firmware waiting to fix these issues before we jump into the RAW world. Manual focus would be interesting.